Karen has been a Maryland local her whole life, being raised on the shores of the Chesapeake Bay. She has been fortunate enough to enjoy the boating lifestyle from a young age and continues to be an avid boater. Karen began working at Maryland National in 1973 and eventually worked her way up the corporate ladder to become Vice President in charge of the Marine lending sales division. She has a degree from the University of Virginia’s Graduate School of Retail bank Management. 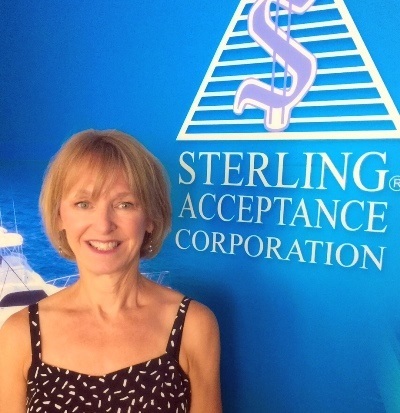 In 1987, Karen decided to branch out and start a marine loan origination company, Sterling Acceptance Corporation. Celebrating more than 31 years in business, Sterling Acceptance has four loan production offices around the country. Karen Trostle is the current Past President of the National Marine Bankers Association; serving as President from 2010 to 2012, and has been on the Board of Directors since 2005. She boasts 40 plus years of marine direct, indirect, and floor plan banking experience. Aside from volunteering for many charities and non-profit organizations, Karen enjoys biking, health and fitness, and spending time on the boat with her husband and dogs. Dave’s interest in boating started when he was 12 years old, when his parents bought their wooden 27’ Chris Craft. He learned to navigate the Chesapeake Bay with nothing more than a paper chart, a set of parallel rulers and a compass. In the mid 80’s career opportunities brought him to the Washington, DC area in the home entertainment industry. While working, he was approached with an opportunity to be the new sales manager at an Annapolis, MD yacht dealership. He took the opportunity to get in on the ground floor and build a business, which it certainly turned out to be. He obtained the Trojan Yacht franchise, which was on a strong growth path. Their International Series yachts set the standard for the euro style vessels which are so common today. Within a few years they had become the second largest dealer in the country and he was awarded salesperson of the year twice during that time. 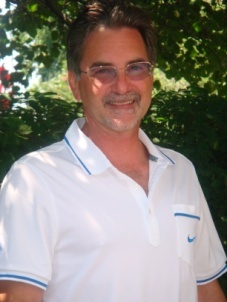 The opportunity to come to Sterling Acceptance Corporation came along in the 90’s and was a perfect blend of utilizing his business skills, boating background and industry knowledge, to continue working in an industry he so much enjoyed. Along the way, he obtained his yacht insurance license, currently representing GlobalMarine Insurance, in addition to his responsibilities at Sterling Acceptance. He and his wife Karen are actively involved in boating, spending as much time as possible on their Post 50 during the course of the boating season. They have made many friends on the water along the way, with it being rare that they do not run into someone that financed their boat with them. They have also visited many of the top RV destinations around the country- from Bar Harbor and Acadia National Park in Maine to the Grand Teton, Yellowstone, Bryce & Zion Canyons in Utah to the Grand Canyon in Arizona, just to name a few. Matt comes to Sterling Acceptance with many years of experience in customer service, management, and sales; a welcome addition to the team! Growing up in Maryland with boaters as parents, Matt spent most of his weekends cruising the Chesapeake. His love for boating and the Chesapeake Bay has been with him since childhood. 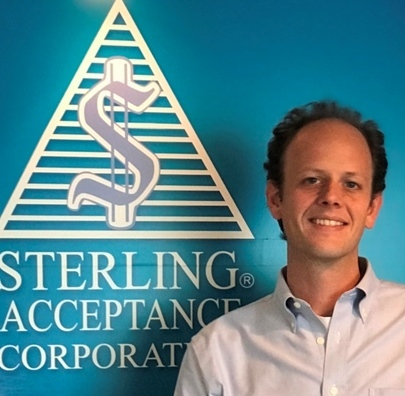 This continued passion, in combination with his knowledge of boating and industry experience, makes him an excellent fit for Sterling Acceptance Corp. In Matt’s spare time, you can find him biking, hiking, camping, boating and loving everything outdoors. For the past 30 years Peggy has held various positions in the recreational lending industry. Her career began in 1982 with Horizon Credit Corp in Fort Lauderdale, moving to CA with the company in 1986. 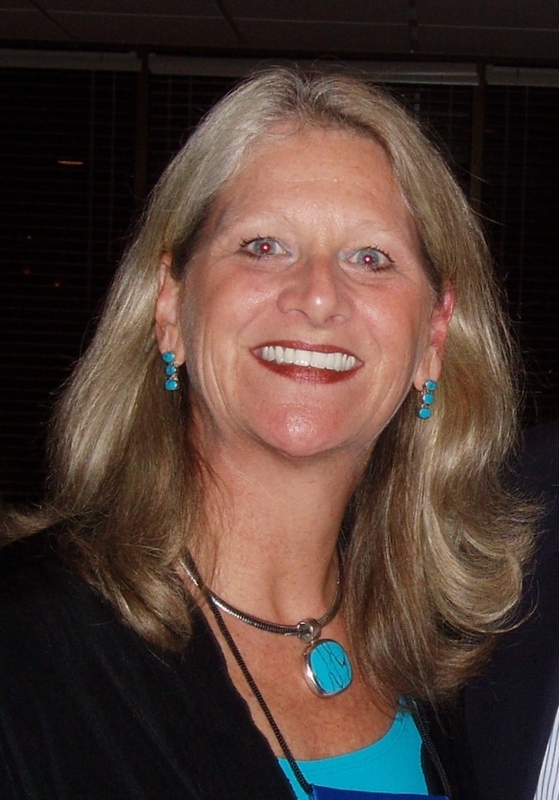 Peggy joined Ganis Corporation in 1988 to develop the direct marine lending business for the company. Over the next several years, she opened yacht loan production offices in 10 major yachting centers in the US. The company was sold several times and Peggy remained with the firm while it was Deutsche Financial Services, E*TRADE Financial, and GE Money. Her responsibilities included sales management and business development for the marine and RV business, working with retailers and manufacturers to develop specialized retail finance programs. 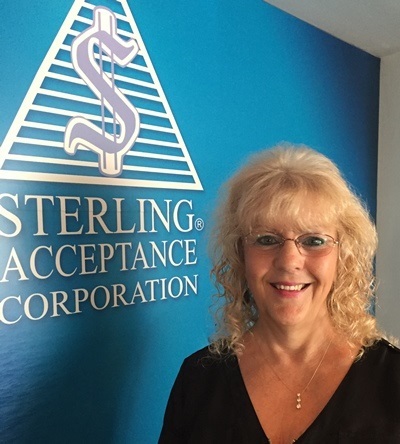 Peggy joined the Sterling Acceptance sales team in 2010 and represents the company as West Coast Regional Sales Manager. Peggy is a past president of the National Marine Bankers Association, and has served on its board of directors since 1994. She is currently the association’s vice president and chairs the marketing committee. Peggy served on the board of the Southern California Marine Association (now known as NMMA West) which devotes its efforts and resources to the promotion of boating in Southern California through involvement with boat shows, legislation, education, boating safety and boating promotion. She is also a member of the California Yacht Broker Association. Peggy and her husband are active boaters and members of the Catalina Marineros for the Catalina Island Conservancy. She frequently contributes articles about boating in southern California to BlueSkyNews.com. 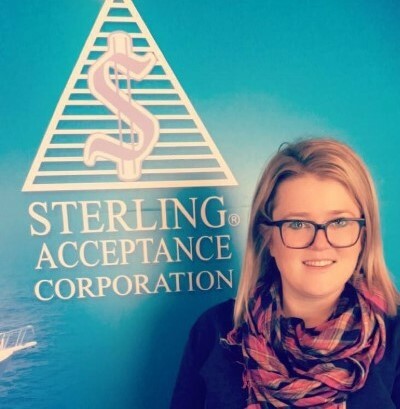 Mary Ann comes to Sterling Acceptance as our North East Sales Manager with a substantial background in recreational finance. Since the 1980's, she has worked extensively in the industry, building relationships with brokers, dealers, and lenders in the North East Region of the country. She has worked in all capacities of marine loan transactions, from boat shows to loan closings. She has a wealth of experience and professionalism that you will admire in just your first interaction with her! In her spare time, Mary Ann enjoys boating in the Narragansett Bay, spending quality time on the Newport beaches, and working in her growing garden. Susan was raised in the Piedmont area of North Carolina. With such a large family surrounding her, fishing in lakes, falling in streams and eating fresh home raised vegetables made for a great family environment.In school at East Carolina University, she was able to continue her education and be by the water. A special, to-be-husband, lured her to Maryland where her education continued in the Chesapeake Bay area. She began working in the marine industry with new and used boat dealers, brokers, and insurance agents. 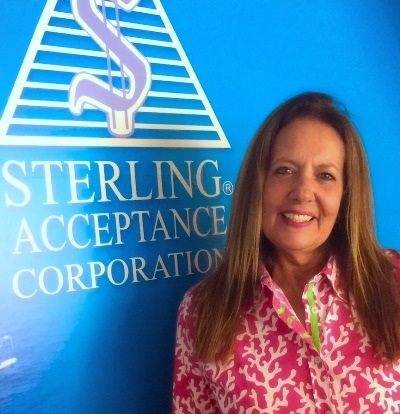 She began her journey with Sterling Acceptance Corporation in 1993, where she established our first Florida office. 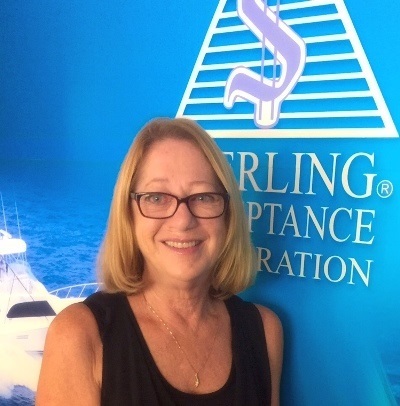 In addition to the thrill of the International Boat Shows that she has participated in for the last twenty years, she enjoys interacting with the salespeople, clients, and lenders that serve us. She feels that even through the “tough years” our business has been rewarding and one that we know we will always play a part in making dreams come true. Helen was born and raised on the Chesapeake Bay and grew up boating, fishing, and camping while making lots of family memories. She started in the marine industry in the early 1980’s with Essex Credit Corp/Bank of the West and continued her career in the Marine/RV industry with other financial institutions. She has an abundance of knowledge of all aspects of the recreational lending regulations; from credit reports to funding both marine and RV loans. To list a few of her skills, Helen has managed employees, handled sales calls, ran daily operations of the business, worked boat shows, and dealt with Coast Guard documentation and state title work. She knows how to get the job done from start to finish. Helen is well known in the marine/RV banking industry for her expertise in loan documentation and giving top quality service. She enjoys working with both buyers and sellers to ensure a smooth transaction for all parties involved. Nothing is better for her than helping our clients’ dreams come true so they can create their own family memories on both land and water! In her spare time, Helen enjoys boating, motorcycle riding, and taking walks. Katie has been a Maryland resident her entire life. She grew up on the Chesapeake Bay boating, fishing, crabbing, and kayaking with her family, in particular her Grandfather and Uncle. Living on the bay has truly become part of who she is. She obtained her Bachelor’s in Sociology from UMBC. While working for DNR Katie found her niche in the boating world. 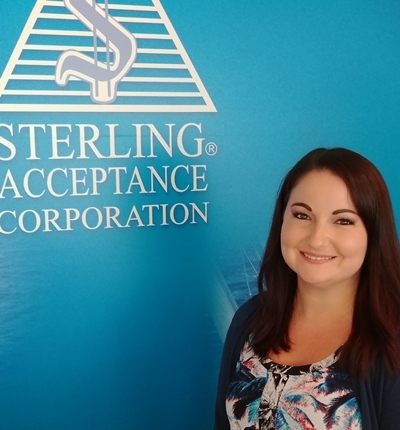 With the combined love for boating, water sports and customer service, Katie is the perfect fit for our Sterling Acceptance team. You can often find Katie kayaking, traveling down to Florida to visit family and Disney World, or attending a concert. Her heart is most full being by the bay and she hopes to fill her client’s hearts with that same feeling.